Premature births resulting from medical malpractice are a leading cause of death for infants in the US. Each year, nearly half a million families in Detroit and across the nation are faced with the complexities and heartache involved with babies who are born too soon. A pregnancy is considered full-term when the child is carried for nine months. Births that occur before 37 weeks are considered premature or preterm. Because there are important physical developments that occur during the last weeks of pregnancy, early births can result in serious consequences for the child. Premature births are most common among women carrying multiple children, but there are other factors that can contribute as well. For example, women who suffer from an incompetent or weak cervix are particularly susceptible to preterm births. In these cases, premature birth can often be prevented by placing a stitch around the cervix or by prescribing progesterone. Some preterm births occur without warning. But many times, risk factors are evident. It is the responsibility of the medical professionals who care for the mother-to-be to identify the potential for premature birth and to provide appropriate care before, during, and after birth to ensure a healthy delivery. Doctors and healthcare professionals can be held responsible for any Michigan birth injury or death that results from their negligence. If your child was harmed by malpractice, you should not have to pay for the medical bills and associated costs that follow. 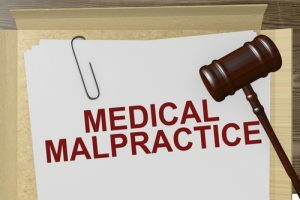 Filing a medical malpractice suit against negligent medical staff can help you recover damages and lost wages and receive financial help to care for your injured child. Call the Michigan birth injury attorneys at Thurswell Law at (866)-354-5566 to learn more about your rights as a victim.